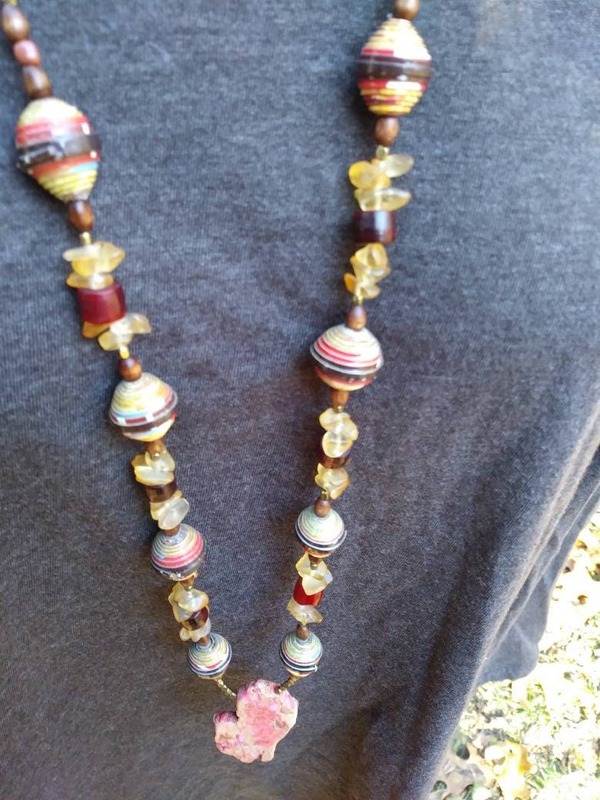 Lovely long statement necklace. 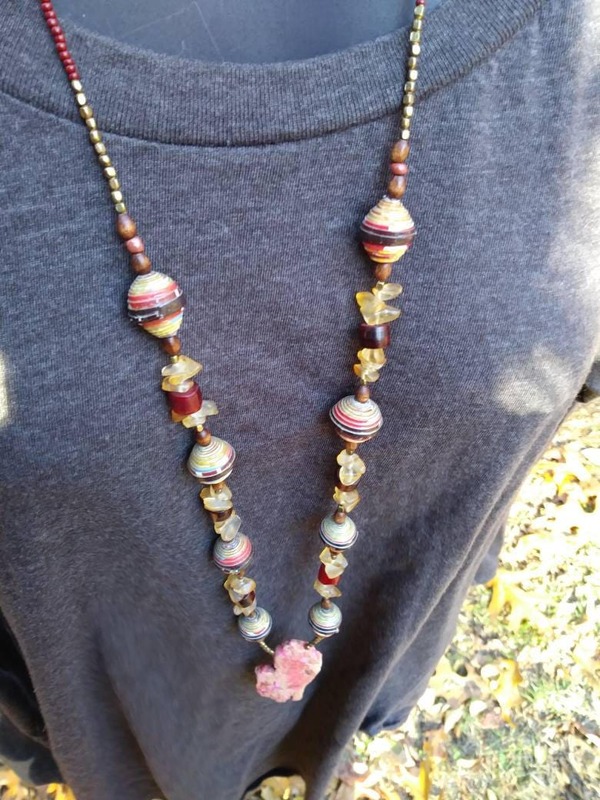 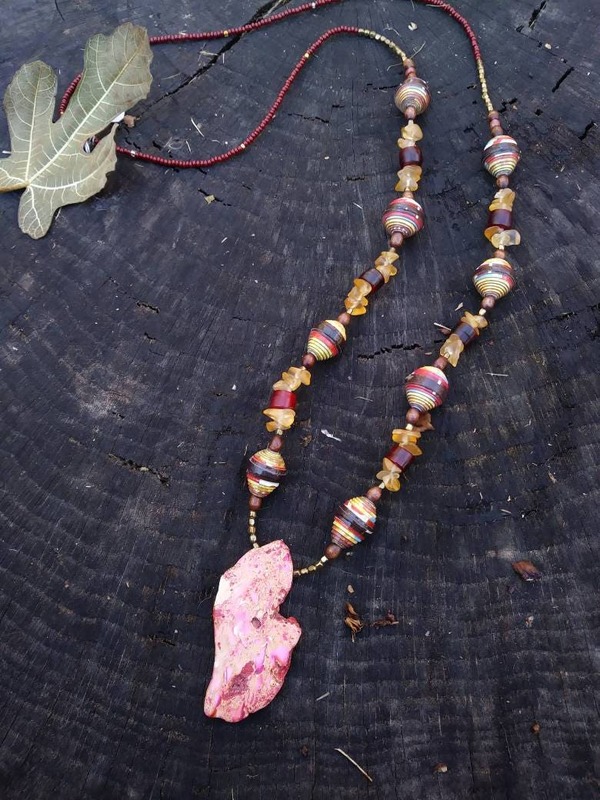 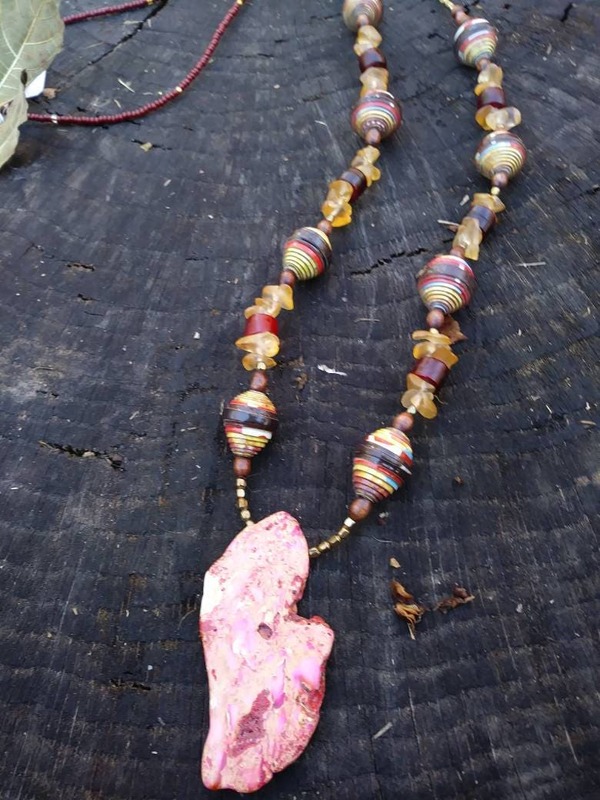 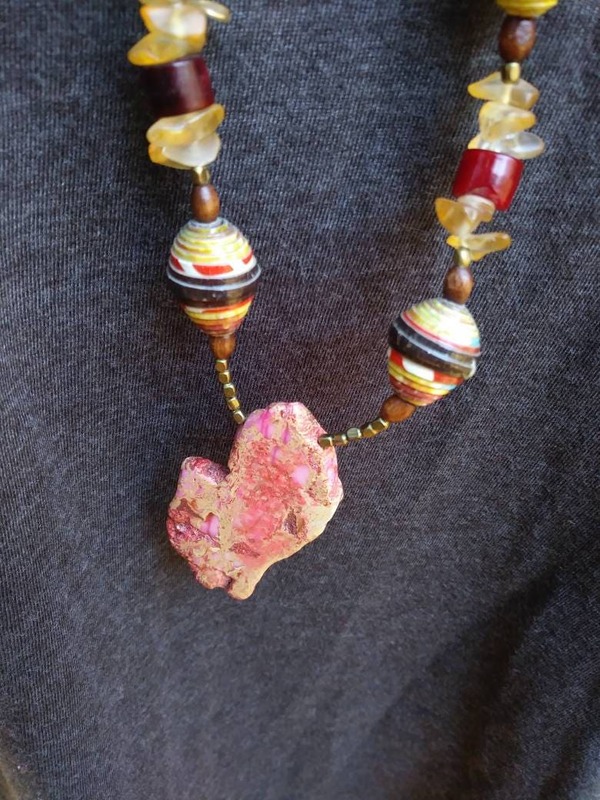 Unique large pink, red and gold dyed jasper stone hangs on a long maroon glass bead necklace. 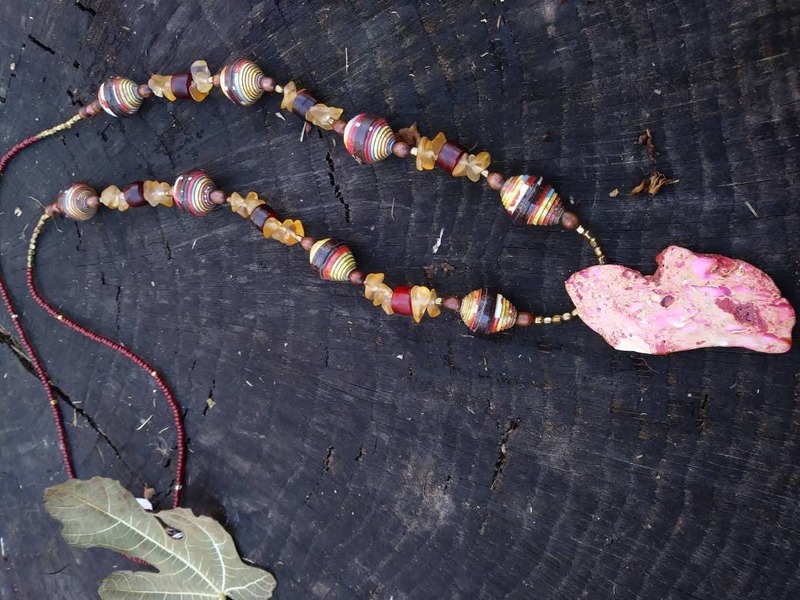 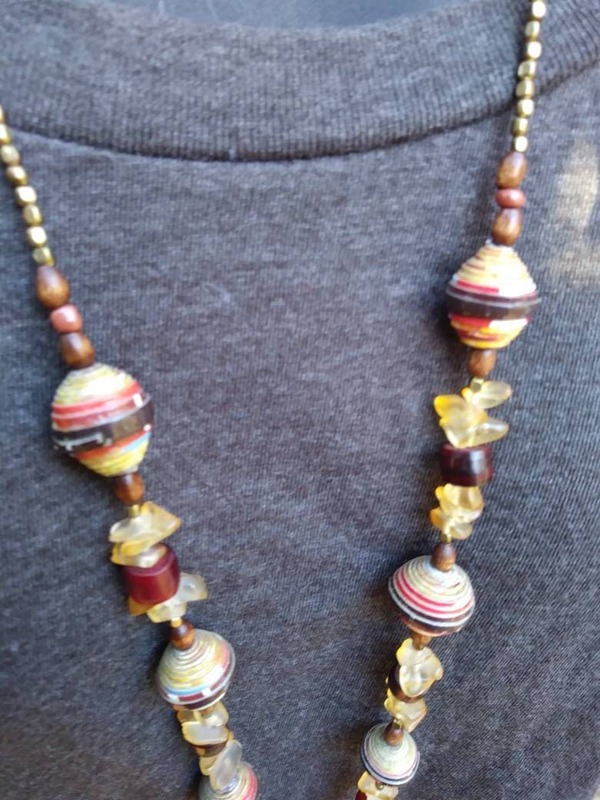 Stone chips, beads, wood and paper all come together to make a striking piece.